Walt Disney Parks & Resorts Digital (DPRD), a division of the Walt Disney Company, creates world-class immersive online & mobile experiences for premier vacation brands including Walt Disney World, Disneyland Resort, Shanghai Disney Resort, Hong Kong Disneyland, Tokyo Disney Resort, Disney Cruise Line and Disney Vacation Club. DPRD has offices in Los Angeles, Anaheim, Seattle, Shanghai, Hong Kong, Tokyo and Orlando where we design and develop results-driven websites and mobile applications. You will be developing and implementing the strategy and vision for the Shanghai Disney Resort (SHDR) and APAC, and you will develop, influence and look after product roadmaps and features based on team strategy and vision. This role is inherently cross-functional: you will work closely with engineering, design, operations, analytics and executive teams to bring products to market and develop and grow business opportunities for DPRD. A successful candidate will be highly analytical, able to work extremely effectively in a matrix organization, and adept at synthesizing a variety of technologies and capabilities into high quality, simple products and applications that guests love. Developing and driving the strategic direction of digital product line and/or a destination/brand for Shanghai Disney Resort (SHDR) and APAC. Translate that direction into user stories with acceptance criteria, mind maps, and product specs. Manage the feature development and defect backlog on a daily basis to ensure that priorities adhere to the strategic direction and ensure the execution of creative assets developed in support of a feature, such as the visual design, content strategy and copywriting, to ensure adherence to strategic vision. Attend daily scrums with development studios to help drive priority decisions and remove roadblocks, they will support multiple cross-functional teams/development studios to ensure a solid understanding of the defined scope. Communicating changes in strategic direction or priority shifts to cross-functional teams, and to their manager on development progress, escalating any issues that could impact the budget, timeline, or strategic vision. 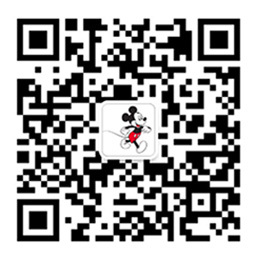 Collaborate with organizations across The Walt Disney Company (Product, Technology, Park Operations, Pricing, Rev. Management, Marketing, Sales, etc.) to build and manage scope expectations as well as across other product lines/destinations/brands within DPRD to ensure a seamless Guest experience across touch points. A champion for the mobile and web experience, advocating on the guest's behalf, and working diligently to create a first-class experience for Disney guests. Drive and implement Digital product from detecting guests behaviors, initiating requirement, translate into technical spec and push it through until a mature product. Ability to work in a fast-paced environment where continuous innovation and quality is highly desired. Proven analytical and quantitative skills (includes ability to use tools such as Excel and Access); ability to use hard data and metrics to back up assumptions and develop project business cases. Ability to think strategically and execute methodically, with a positive outlook and willingness to take personal initiatives.